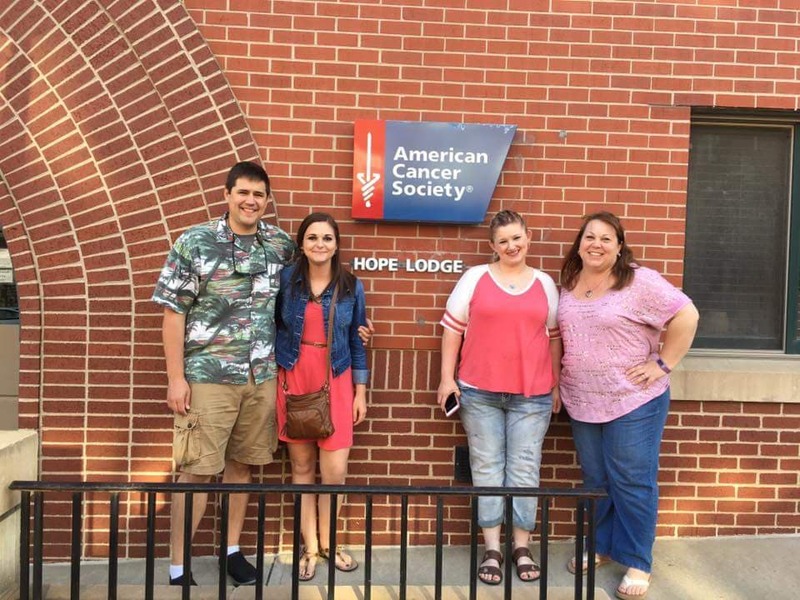 Young Professionals are engaging with the American Cancer Society in incredible and impactful ways. I have been involved with the American Cancer Society for eight years now! By my junior year in college, I felt like I wanted to do more than just Relaying. I love Relay, but I craved more personal interactions with the patients that our Relay events were benefiting, and wanted to get more involved with the work the Society was doing. That’s when I signed up to become a Road To Recovery driver, and have gotten more than I could have ever imagined out of the experience! I have loved every ride that I have given. Being able to have a few hours sitting side-by-side with the patients that our fundraising benefits is such a unique and amazing opportunity. With each new story I heard, I wanted to do to more and more to make sure no one else would have to go through similar experiences. While I tried my best to do frequent rides as a student at UCLA, between school, planning UCLA’s Relay with CAC, and my other extracurricular activities, I was only able to do a few rides each quarter. Once I graduated in Spring 2015 however, I had much fewer commitments, which gave me more time to drive for Road to Recovery! Being able to continue volunteering for the American Cancer Society through Road to Recovery after graduating kept me anchored to the work that I love so much! Being able to drive for Road To Recovery allowed me to stay involved and continue working with patients as I eased my transition into the post-grad Relay world. Now, in one month, I’ll be moving across the country to Wisconsin to start Medical School. While I’m nervous about how I can keep my ACS volunteer work that is so close to my heart a big part of my life as a student again, I’m excited that I will be able to continue driving for Road To Recovery. Since Road to Recovery is a national program, drivers are needed across the country! With just one email notifying the system that I am moving regions, I can continue driving patients in Wisconsin. I’m so grateful for ACS programs like Road to Recovery that give graduates such a fun, easy, and meaningful way to stay involved after college! "I was diagnosed with cancer at age 13. Since then, I have been very active with Relay for Life, at first as a high schooler as a team captain for 4 years at my county Relay. Then I went to Clemson University and became involved in our Relay. I was the Missions chair my freshman and sophomore year, the co-chair my junior year, and the executive director my senior year. I also have volunteered since high school at ACS Hope Lodges. I am now pursuing my PhD in the field of cancer biology at Johns Hopkins School of Medicine, and I am the team captain for my PhD program team's RFL Team. I am also active in ACS CAN, and last month I shared my survivor story and acted as emcee at the DC Lights of Hope Event for Lobby Day. Cancer has always played a role in my life, pushing me to pursue my passions in finding an end of cancer- through education, awareness, and research. RFL is such a wonderful way to bring attention to all three. I couldn't imagine my life without being involved in ACS. It is so imperative that we all fight. My favorite part of college Relay was watching all the students get so involved and excited about the event- by decorating their campsites or participating in all the events that night. It always made my heart happy that our hard work paid off and everyone came together to fight back against cancer." 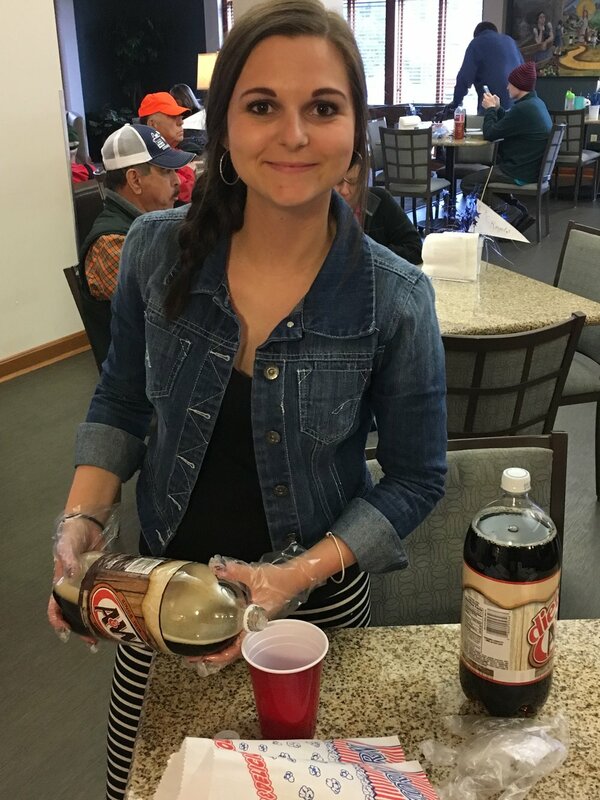 Amy Skolnick served on the committee for Virginia Tech Relay For Life for her freshman, sophomore, and junior years, and completed her senior year on the Executive committee as the Logistics chair. Amy Relays in loving memory of her Uncle and Grandfather. "I have moved back to Charlottesville (where I have lived my whole life) and felt like I still needed to be doing something for the Relay community. I reached out to the Charlottesville/Albemarle ACS and they ended up asking me to be the Event Lead for their event. I'm very excited to keep working with Relay and to make a difference in the community that I've grown up in!" "I began Relaying in middle school shortly after both of my dad's parents passed away from cancer 11 months apart in 2002. Needless to say, Relay has been a part of my life for a long time. I can't imagine not being involved with Relay in some fashion. I have to admit; I did not understand the real impact of Relay until I got involved at Virginia Tech. This past year was my best year EVER with Relay. Everyday was filled with inspiration (and emotions haha) from my fellow Execs and I was (and still am) more pumped than ever to end cancer. The fact that I am still motivated to participate with Relay after college is all due to my fellow execs. They lit a fire within me that will not be extinguished until cancer is cured. Last year at an exec meeting, our Director talked about being interviewed and the interviewer asked her “What do you think it will be like once cancer is cured?”. I immediately got goose bumps. Similar to our Director, I had never actually sat down and thought about it... What will I do when that day comes? I can say this, I am so so so excited – and ready. Thinking about hearing the news one day, "A CURE FOR CANCER HAS BEEN FOUND" is so powerful, inspiring, mind-blowing, and perfect. I am now a first year pharmacy student at Virginia Commonwealth University School of Pharmacy. I knew that VCU's undergrad campus had Relay, so I googled them and found Laura Burton's contact info on the website. I immediately sent her an email explaining that I was a recent Hokie grad and needed Relay in my life. Laura is also a Hokie and has heard of all the incredible things that we have done at Virginia Tech and was thrilled to have me. As of right now, I am unable to submerge myself into Relay like I did at Virginia Tech. I told Laura and her exec team that I would love to be there to support and "mentor" them before I make a solid commitment to take on an exec role. I am currently enrolled in 9 classes (over 20 credits), but I'm still Relaying. I'm not saying that to get a sympathy vote, I don't want it haha this is my dream school and profession and I couldn't be happier! I am saying that because regardless of how busy you THINK you are, there is ALWAYS time to devote to the service of others. As Gandhi once said, "The best way to find yourself is to lose yourself in the service of others." Why not? As of right now, I believe that I want to be a clinical specialist and become an oncology pharmacist. I am a firm believer in the old saying, “practice what you preach”. How am I supposed to ask my patients to risk everything and fight back against this disease if I am not putting up a similar fight for them?" From the first lap I took around the track at my first Relay For Life event 9 years ago, I was hooked. I knew that I was making a difference in the fight against cancer - and getting a chance to help save lives alongside all of my friends made it that much better. Each year after that first event, more of my friends participated in the event, my team took over several camp sites, my Relay family grew larger, and my classmates stopped complaining (well, complained less) about raising money. It became a tradition that defined our lives throughout high school. When we all went away to different colleges, we continued participating in Relay For Life and slowly started building new teams and growing our new Relay families. We all graduated from college last Spring and began moving to different states and new communities, starting full time jobs and beginning the next chapter of our lives. Everything was changing. But our passion for fighting back against cancer - in whatever way, shape, or form that might take - was stronger than ever. While we may not be running around campus selling cheap t-shirts, organizing 5k's, hosting an all-you-can-eat pancake dinner, or getting our head basketball coach to donate for every free throw he missed, we were each able to find our next big way to fight back with the American Cancer Society in our new communities. For some of us, that is a Young Professional group, for others it is a community Relay For Life event, and even more plan to chaperone for our former high school event and go back to be an alumni team captain at their alma mater. It isn't about all of us participating in the same event, at the same location, and at the same time. It's about finding our own ways to fight back against cancer with the American Cancer Society. Each of us has our own connection to cancer and our own reason to Relay. No matter where we go or what we do, we know that we are saving lives and spreading hope all thanks to the American Cancer Society and Relay For Life. "I donated 9.5 inches during the Pantene Beautiful Lengths hair cutting ceremony this past April at Relay For Life of UW-Madison 2015. My time with Colleges Against Cancer of University of Wisconsin-Madison came to an end this past spring when I graduated in May. It was definitely bittersweet because I had participated all four of my undergraduate years. It was an invaluable experience where I made many friends and countless memories. I started graduate school at the University of Wisconsin-Whitewater this summer and reached out to the Colleges Against Cancer organization here on campus. Because I don't have a lot of time, I asked if I could take a mentorship role rather than becoming a member of their organization. I met with the lead teamand shared some ideas with them; they know they can reach out to me with any questions they have. I wish them the absolute best in their upcoming year. My desire to fight back against cancer didn't stop when I graduated from college. Even though I can no longer be a part of CAC of UW-Madison, I am already signed up to participate in their Relay this spring. I know I will have a fantastic time with people I no longer get to see on a regular basis. I can't wait to see all oftheir hard work pay off. I'm particularly looking forward to spending time with my family at Relay as well. My parents and sister attended Relay For Life of UW-Madison the last four years, and I hope they will join me again this year."